Serra earned a title shot against Georges St. Pierre at UFC 69. Lutter was 1-2 in his previous UFC bouts and was also away from the company for a year. He defeated Scott Smith and Pete Sell to reach the final bout. “The Serial Killer” forced Patrick Cote to tap out to armbar to win the tournament and a shot at Anderson Silva at UFC 67. 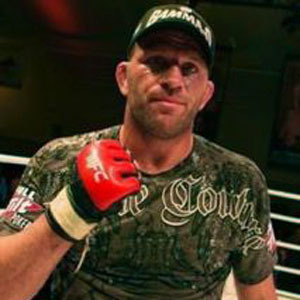 Din Thomas defeated Rich Clementi with a rear naked choke in a battle of TUF 4 competitors who dropped to lightweight. In the Spike TV opener, Jorge Rivera defeated Edwin DeWees by TKO at the 2:38 mark. Scott Smith and Pete Sell stole the show in their preliminary bout. Smith was doubled over in pain from a body shot when he threw a Hail Mary right that knocked Sell out. Pete “The Secret Weapon” Spratt beat Jeremy Jackson by submission due to a neck injury in Round 2 of a welterweight prelim bout. In other prelim fights, Charles McCarthy beat Gideon Ray with an armbar late in the first round; and Martin Kampmann beat Thales Leites by unanimous decision.